Happy birthday Rakesh Roshan: He has has found his safety net as a director but interestingly in his own, quite forgettable acting career, the works he is actually known for happened when he played a regular, middle-class man. He was an average looker, just about a decent actor, that's why he became the perfect fit. Happy birthday Rakesh Roshan: He was neither an extra-ordinary actor, nor had the unmissable charm of a star, but interestingly had a quite forgettable acting career. With ambitious and grand superhero films, Rakesh Roshan has found his safety net as a director but interestingly in his own, quite forgettable acting career, the works he is actually known for happened when he played a regular, middle-class man, who had no superpower but a will to have a simple, straight life. “The only two phone calls I got was from Hrishikesh Mukherjee and Basu Chatterjee, they wanted to meet me (for work),” Roshan, who turns 67 today, told news agency PTI in an interview a few months ago. At a time, when his career was almost in the dumps, with his movies flopping at the box-office and producers shying away from him, Roshan became a choice for middle-of the-road cinema of two of Indian cinema’s greatest filmmakers. Roshan was neither an extra-ordinary actor, nor had the unmissable charm of a star. By the standards of Hindi film heroes, he was an average looker, just about a decent actor, someone who won’t stand out, and perhaps that’s why he became the perfect fit in the middle class, ordinary framework of Chatterjee and Mukherjee’s creations. 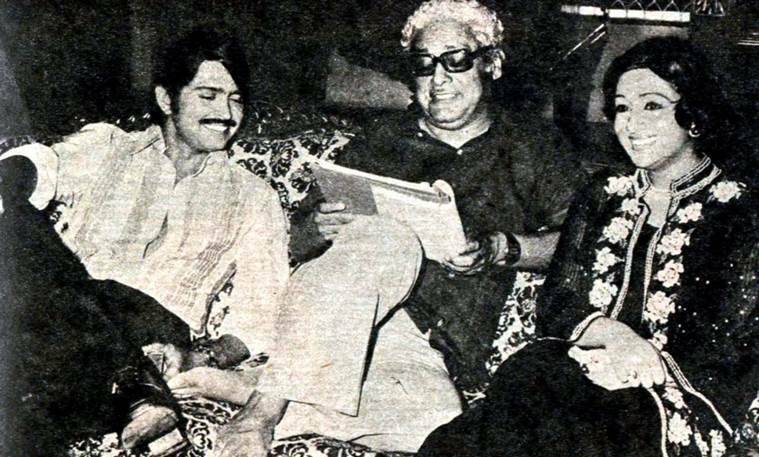 Both the directors thrived on characters, which were unassuming, had nothing special about them and blended with the surrounding, and Roshan, like Amol Palekar, suited their milieu. So, as Firoze Sethna from Khatha Meetha, Roshan is the bespectacled, sorted, eldest son in a Parsi family, who is like you and I, and while there is nothing heroic about him, the sincere support that he is to his mother and a dedicated lover to his girlfriend, he is instantly likeable. Exactly what roles in such films aimed to be- pleasing, flawed, regular yet good enough to make the audience root for them. Similarly, in Mukherjee’s Khubsoorat, which belonged to Rekha (easily, one of her career’s best performances), Roshan’s Inder is both the responsible middle-brother, a mumma’s boy and also a young soul trying to break free from the norms that his mother has set up. His conflict is relatable and his pursuit of freedom when he meets Rekha’s Manju comes across as natural. And in Humari Bahu Alka, Roshan is again a dutiful son – to an extent that he marries a girl of his father’s choice. The reluctant husband soon turns into a lover, and while his father doesn’t want the couple to get intimate before he completes his college exams, he does not rebel, instead forges a plan to spend time with his wife far away from the father’s prying eyes. Roshan’s Pratapchand never turns into a rebel, he in fact, tries to get his way without hurting anyone. The fight is majorly internal, rather than with the world. His goals are small and plans are basic. He doesn’t want to be a hero. Decades later, as the man has turned into the force behind one of the most successful film franchises, he sells a character, which is larger than life, whose conflicts are external and worries are for the world and is everything that Roshan himself never could be.